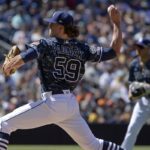 When the San Diego Padres hired Fangraphs analyst Dave Cameron last year it really seemed like a very odd fit for a franchise that has traditionally failed to do anything cutting edge. Most executives tend to hire like-minded, compatible types to join them in the suites. But last year Padres’ general manager A.J. Preller actually added one of his fiercest critics, Dave Cameron, as senior analyst. Preller deserves credit for looking beyond Cameron’s well-placed barbs on FanGraphs in his search for baseball brains. Cameron played baseball in high school and majored in economics at UNC-Greensboro. In 2011, he received a dire diagnosis of acute myeloid leukemia with a poor prognosis. However, treatment led to remission. 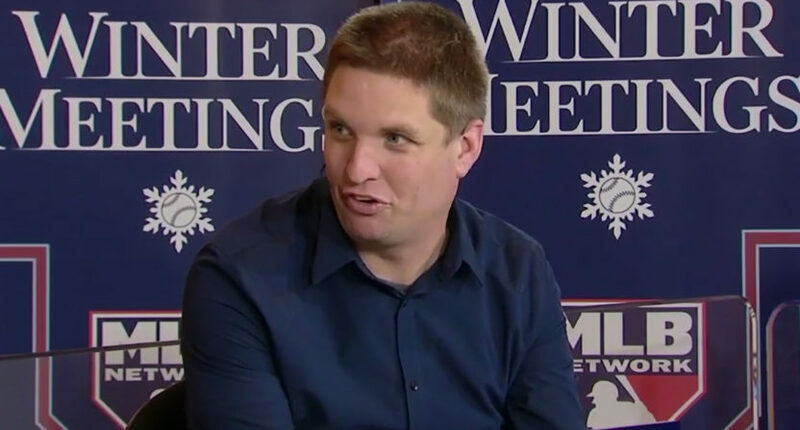 He started at FanGraphs as a freelance writer in April 2008, but before that he’d also written for Fox Sports, Baseball Prospectus and ESPN among others. Ultimately, he turned this freelance gig into a position as managing editor of FanGraphs. As such he left no doubt about his opinion over the Padres’ handling of medical information early in Preller’s tenure with the team. 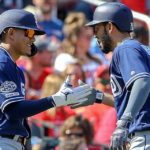 Since the entire system of trades has to be built on trust, we still don’t know how much of an effect this incident has had on the willingness of other teams to deal with the Padres. At the time, Red Sox chairman Tom Werner complained he found MLB’s punishment too lenient. 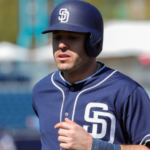 Since then, however, Boston has acquired Colten Brewer from San Diego in exchange for minor league infielder Esteban Quiroz. Although this cannot be considered a major transaction, it does indicate a willingness to at least pick up the phone if Preller calls. 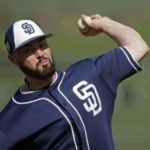 Before Cameron joined the Padres he also warned against five “2018 Free-Agent Landmines.” Eric Hosmer headed his list followed by Greg Holland, Lance Lynn, Eduardo Nunez, and former Padres pitcher Andrew Cashner. 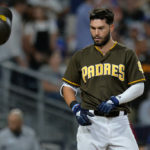 According to Cameron, Hosmer’s overall record and age did not qualify him for the amount of money he received or the duration of the contract ($144 million over eight years). No other teams showed much interest at all. Obviously, the Padres chose to ignore the judgment of their senior analyst to be. Instead, the team handed Hosmer the richest contract in team history. So far, the results have been discouraging, to say the least. The first baseman’s performance ranked as the worst of his career as he batted .253/.322/.398. A first baseman, Hosmer also doesn’t play a premium position, so his offense has to improve substantially to begin to warrant the contract. 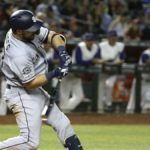 Now that he’s more at home in San Diego and a new league, the Padres can only hope for a Hosmer rebound this season. 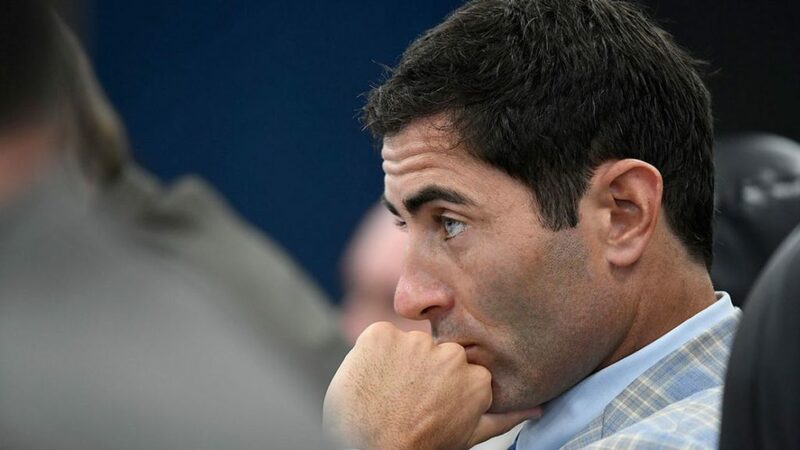 Preller and the Padres obviously consider Cameron’s expertise to outweigh his stinging rebukes over the medical records and his very public criticism of the Hosmer signing. This demonstrates a thick skin that should bode well for a team still trying to find its way. Conducting business in an echo chamber rarely has positive results and can actually lead to dire consequences. I think Fowler has been the decisionmaker on some of the big money moves. I think Preller was oppossed to the Hosmer signing and hired Cameron to create reports for ownership. These reports would give ownership a unbiased sabermetric view of potential moves. Fowler, still signed Hosmer. But, at least he has a report predicting how Hosmer would perform. This gives Fowler an opportunity to learn from his mistakes and gain trust in the decision making of his baseball people. I’m already on record as being “anti Preller” but I am quietly waiting to see the moves he makes. I’m still afraid of what he is going to do and the players he may trade away; namely Renfroe, Hedges and Jankowski. But maybe I’ll be surprised and happy? We’ll see! Sounds encouraging for my Pads. Thanks. Would love to be a fly on wall when these two discuss “must” needs. It was a curious hire. Preller’s past moves show no appreciation for any advanced metrics. Perhaps he realized this was lacking. And certainly the Kinsler signing appeals to the sabermetrically inclined. Though that’s slim pickins. Seems like it should have been easy to beat the Reds’ side of the Sonny Gray trade. Since Cameron was against the bad Hosmer signing hopefully he can have an influence in preventing that kind of stupidity in the future. 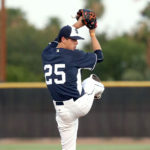 Having multiple voices, including Dave Cameron’s, should make a difference especially in terms of veteran acquisitions. Thank you for that insightful piece. Will help me stay objective on this teams intended direction. Thanks for your comment. What I learned in my research about Dave Cameron gives me hope about decision making in the future. Got to say I was excited to click this when I saw EVT was doing an article on the Padres mystery man. Since Cameron’s hire, there has been absolute radio silence regarding what he is doing. An update on how the alternative opinion was playing within the front office. Perhaps some direction the analytics department was heading under Dave Cameron’s lead. Anything having to do with, oh I don’t know. Dave Cameron. Yet here you are rehashing the same anti Preller narrative and adding nothing new. I guess its on me for expecting anything else. As far as in-depth information about this team, it’s not that easy. The front office tends to be very uncommunicative. How, after the misadventure of 2015, the hiring of Mark McGwire, the medical records scandal, 4 years of totally crappy baseball, and hamstringing the team in the future by extending Myers and signing Hosmer is it possible not to be anti-Preller?